Billed as a thrilling contribution to the new wave of cli-fi hitting the shelves, Cold Blood, Hot Sea pits climate change scientists against big energy conspirators. When a colleague is killed aboard research vessel Intrepid, oceanographer Mara Tusconi believes it’s no accident. Though pulled by the demands of her work and distracted by Ted McKnight, new hire at Maine Oceanographic, Mara delves into the circumstances surrounding the death. Mara quickly becomes entangled in a scheme cooked up by powerful energy executives with much to lose if scientists like Mara and Ted continue their climate change research. The murky trail takes her from a lobster-lined research lab to a kayak bobbing in the Atlantic’s icy waters. Mara’s career—and life—is on the line, threatened by intrigue as big and dark as the ocean. 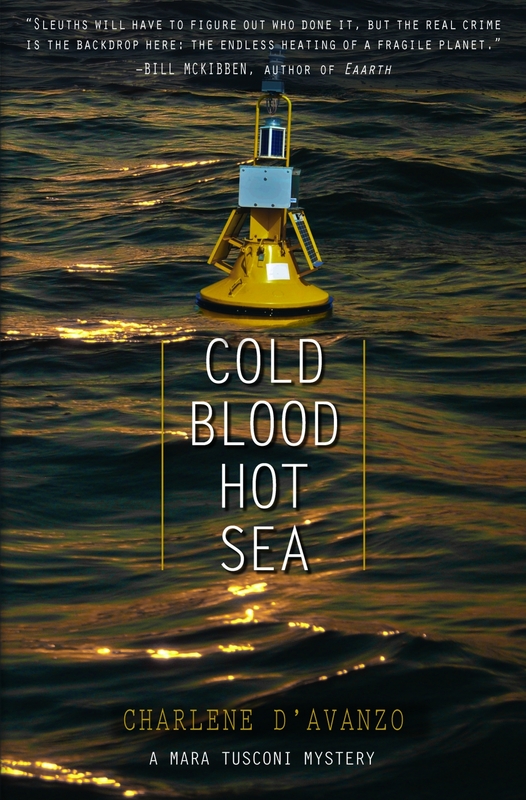 Cold Blood, Hot Sea proceeds full speed ahead through the often cutthroat world of scientific research. This remarkable debut novel brims with ocean wonders, kayaking adventure, and plenty of twists, turns, and deep sea treachery. Marine ecologist and award–winning environmental educator Charlene D’Avanzo studied the New England coast for 40 years, and today uses mysteries to immerse readers in Maine waters’ stunning beauty and grave threats. She holds a Ph.D from the Boston University Marine Program, Marine Biological Laboratory, and is the recipient of the 2015 Mystery Writers of America McCloy Award. An avid sea kayaker, she lives in Yarmouth, Maine. We caught up with her for how sea kayaking plays into the plot. PL:How long have you been sea kayaking, and when/how did you get started? Twenty-five years. 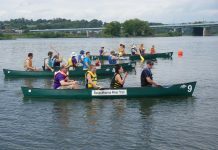 I started doing river kayaking but soon switched to sea kayaks because I love the ocean. PL:What do you like about sea kayaking? 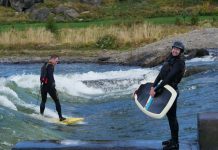 In a river kayak, everything goes by very fast as you zip down a fast flowing river. Sea kayaking is completely different. Besides loving being on the ocean, I liked sea kayaking right away because it’s a way to visit places – e.g., islands – I couldn’t get to otherwise. It’s akin to hiking that way. PL:What prompted you to make it part of your book, and how does it play into its plot? My protagonist, Mara Tusconi, is a Maine oceanographer. She’s like me in some ways (we’re both marine ecologists) and it just made sense to have her be a passionate sea kayaker because she so loves the ocean. Mara uses her kayak in the story to collect water samples in her investigation of a possible killer. She does that at night in April when the water is winter cold. One of the bad guys spots her and there’s a pretty exciting motor boat-sea kayak chase (if Mara tipped over she could die from hypothermia in minutes). In another scene, she paddles out to an island with a love interest. Toward the end of the book, the murderer tries to stage an accident in which Mara would drown because she fell out of her kayak several miles offshore. So Mara’s sea kayak plays key roles in the story. 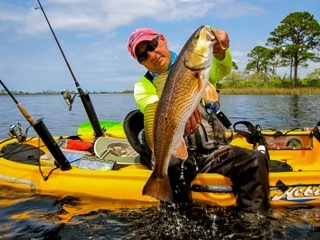 PL:What kind of kayak(s) do you own? I paddle a P&H Sirus, small, which is a British sea kayak. It’s 17 feet long and quite narrow so it tracks straight and fast.